To help customer service teams improve conversations, Chris Bijou has developed a list of 10 traits possessed by the best customer service representatives. A representative with a strong knowledge and understanding of the company’s products and/or services will be better prepared to answer questions and resolve concerns. A potential client can easily discern if a representative is passionate about the service or product they are selling. 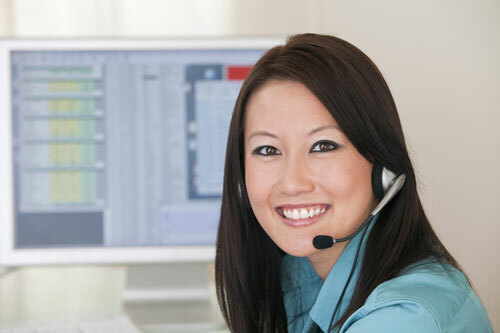 Even with all the knowledge about a product, a customer service representative can fall flat without passion. There is only one true recipe for a representative to have a strong performance when speaking to a potential client: practice, practice, practice. While customer service representatives in a company tend to work alone or in small groups, they can benefit from the collaboration of the entire team. Customer service teams should work together and learn how they can use their combined strengths and experiences to benefit each member of the team. Representatives will help themselves and their whole team if they can learn to analyze what each teammate is doing, identify techniques that work and ones that need improvement, and then successfully communicate critiques and suggestions to each other. It’s often easier to provide feedback to others than to receive it. But it’s a true strength when representatives can be teachable and open to feedback and know how to apply it to improve their work. When representatives learn to hold themselves accountable for their work and failures without constant follow-up, they will learn far quicker and be much more effective during their conversations. Goals should be set by every representative and team. Goals provide milestones for salespeople to shoot for and provide a measuring stick to gauge progress. The only way for a representative or customer service team to know if they’re making progress and increasing their skills is to measure the improvements. Measurements should include improved customer service, a demonstration of increased knowledge of the products and services, and improvements in skill and abilities. As representatives and teams work together to build these traits, they must also be aware of what works best in the real world as opposed to what only works in training and role playing. Understanding how clients feel and act is crucial to implementing the above traits in a way that will best benefit the client. Chris Bijou is CEO of iDealResponse – provider of the first verbal response management (VRM) system that measures and improves proficiency in sales and customer service interactions. It provides real-time, peer-based training to help employees deliver content that is compelling, engaging, accurate and is delivered with the right tone. It has been adopted by Fortune 100 companies, including four of the top 10 financial services companies.